Maintaining mobility is one of the most important factors to consider when planning to engage in battle. The Ratio Steel Leg Armour offers an excellent solution to this dilemma with LARP armour that covers the knees and thighs. 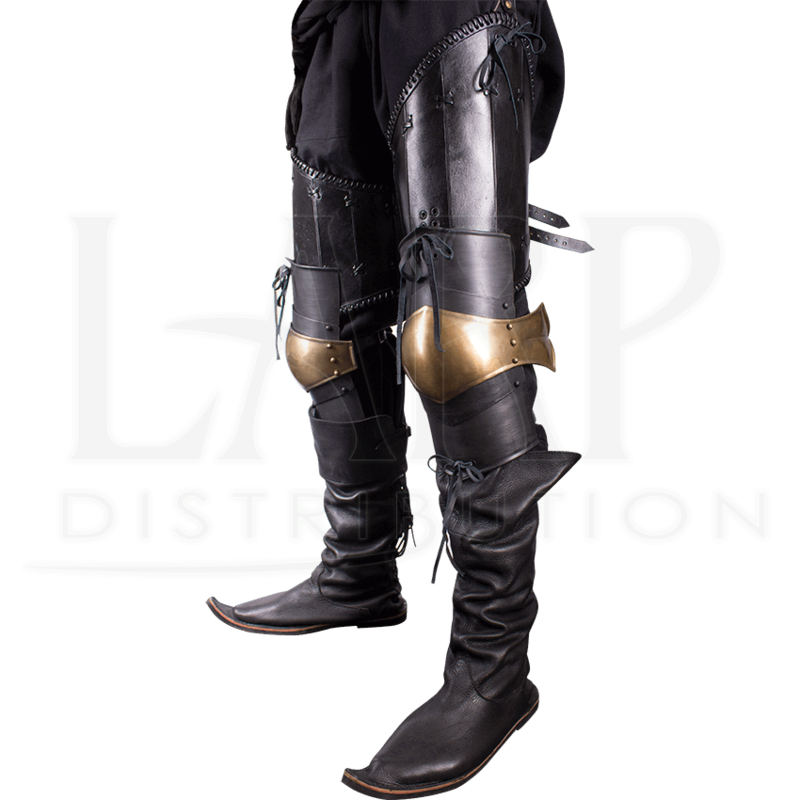 The roleplaying leg armour is crafted from 19 gauge galvanized mild steel and top-grain leather with high quality craftsmanship. 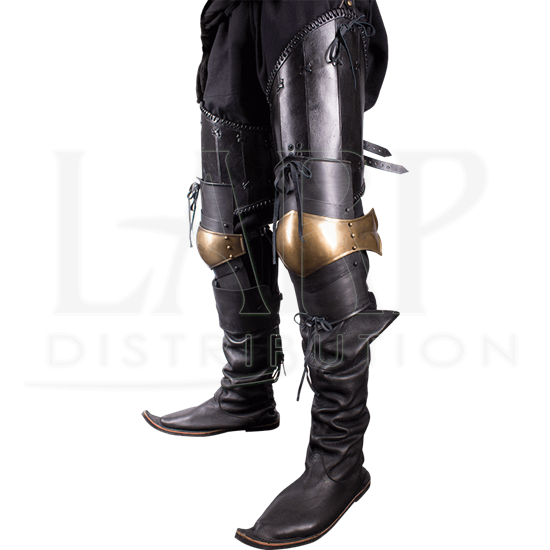 With its black and brass coloring, the LARP leg protection looks great with a variety of armour styles, especially Asian and Roman designs. Guard yourself from becoming incapacitated at your next event with this excellent leg protection! 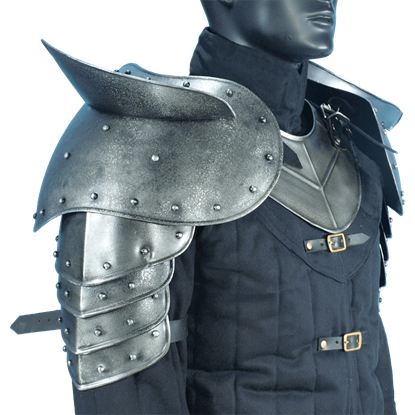 The Ratio Steel Leg Armour is licensed ConQuest armour. ConQuest is the biggest LARP gathering in Europe. The addition of sword breakers to this deluxe version of the Warrior Pauldrons not only raises your defense, but also creates an intimidating look. Crafted from 18-gauge galvanized mild steel, the armour resists scratches and rust. 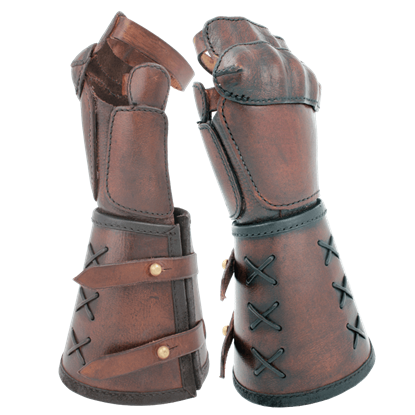 Gauntlets do not just come in steel and other varieties of metal, especially not when leather can be just as protective and desirable. A Single Leather Gauntlet is the accessory to get when creating a look that is all your own.